C# Sharp Exercises: Check if "HP" appears at second position in a string and returns the string without "HP"
Write a C# program to check if "HP" appears at second position in a string and returns the string without "HP". Previous: Write a C# program to check if an integer (from the two given integers) is in the range -10 to 10. Next: Write a C# program to get a new string of two characters from a given string. 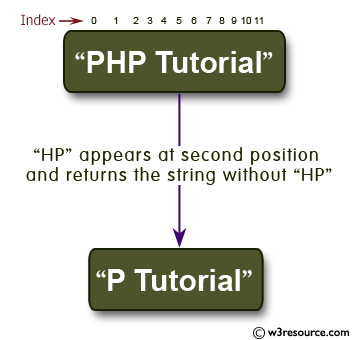 The first and second character of the given string must be "P" and "H", so PHP will be "PH".